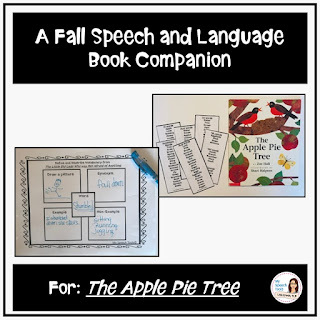 My Speech Tools: Speech and Language Activities for "The Apple Pie Tree"
Speech and Language Activities for "The Apple Pie Tree"
Fall is one of my favorite seasons of the year for speech therapy. The warm smells, vibrant colors and cooler weather provide a platform for rich literacy and language opportunities with children. If your speech therapy groups are anything like mine, you have mixed articulation, fluency, social and language needs throughout the day. 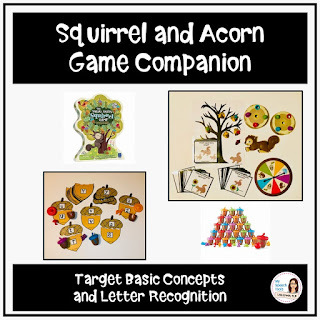 I've outlined a few target skills and included a freebie at the end of this blog for you to start using today. tree, grow, brown, spring, branch, flower, chirp, break, blossoms, breezes, ground, fly, blows, branches, small, basket sprinkle, smells. Wh-Questions-"What happens to the tree each spring?" "When are the apples ready to be picked?" Vocabulary Comprehension-What does the word "guarding" mean in the sentence, "The robins chirp loudly, guarding their eggs?" Inference Questions-Why do you think the robins chirp loudly and guard their eggs? Cause and Effect Questions-What causes the flower petals to fall to the ground? Association and Story Expansion-Robins lay eggs in their nests. What other animals build nests and lay eggs? 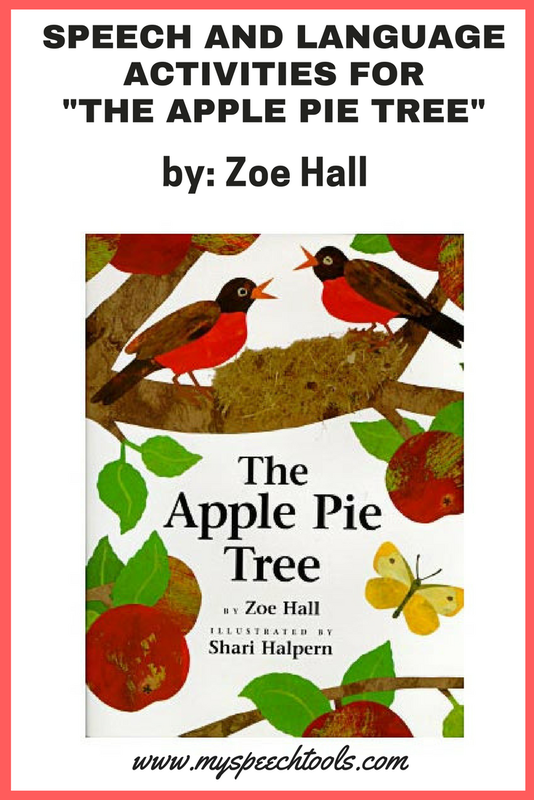 Category Inclusion-Apples grow on trees. Name three more fruits that grow on trees. Text-to-Self Connections-What is your favorite type of pie? Compare and Contrast-Both apples and pumpkins are picked in the fall. How are they alike? How are they different? Thank you for visiting my site! 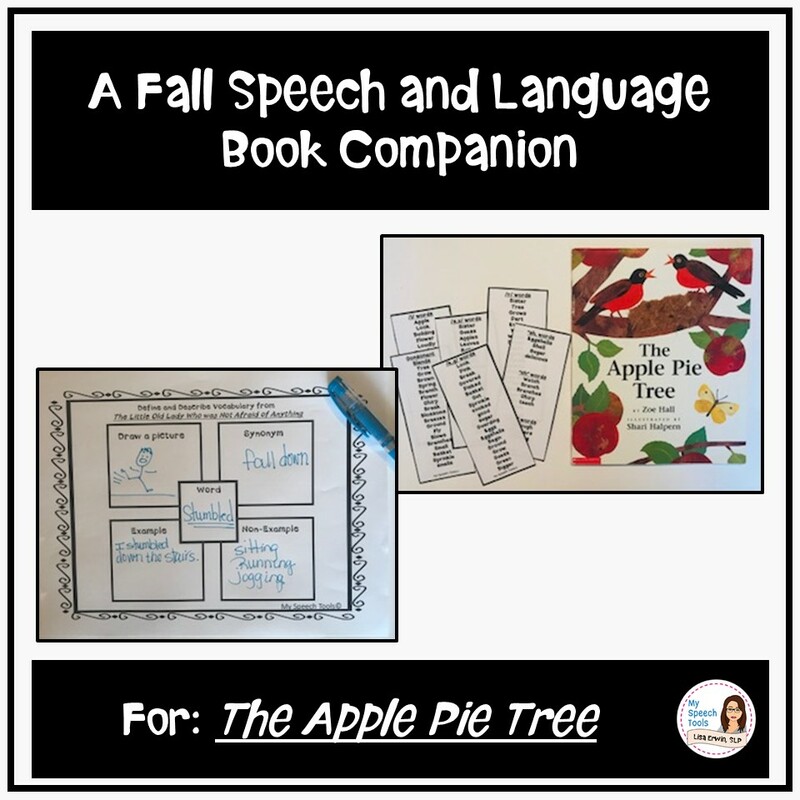 I want to offer you two of the comprehension graphic organizers included in The Apple Pie Tree BOOK COMPANION available in my TPT store. Click HERE to download the FREE comprehension graphic organizers. 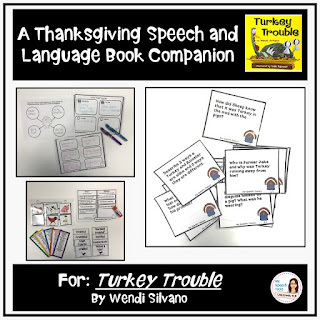 Click HERE to visit my store for the full speech and language book companion. To purchase a gently used copy of The Apple Pie Tree, you can also visit Thriftbooks by clicking on the following link: Used books for as low as $3 each (A Thriftbooks affiliate link). 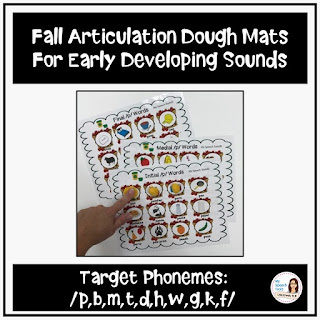 Are You Looking for More Fall Speech Therapy Materials? 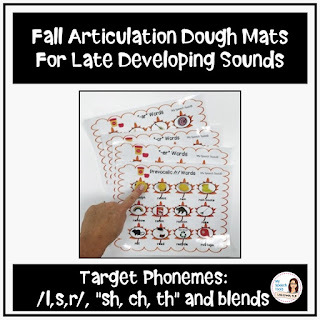 Click on the links below to visit my TPT Store. 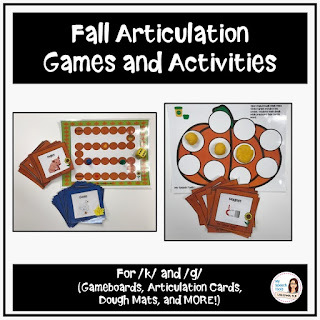 Don't forget to sign up for my newsletter and stay informed on new product releases, therapy tips and resources and upcoming Teachers Pay Teachers (TPT) sales.